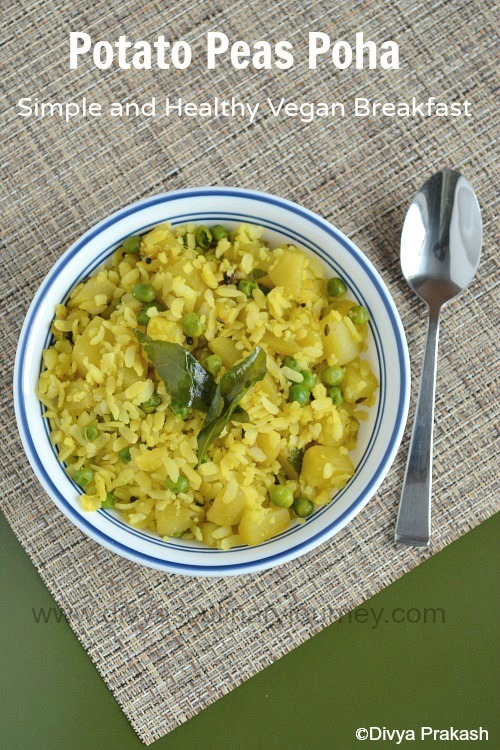 Potato Peas Poha is a simple variation to regular Aval/Poha Upma. Potatoes and Peas are added to make a wholesome and healthy Breakfast. It is so quick and easy to make too. Medium sized potato, 2 nos. 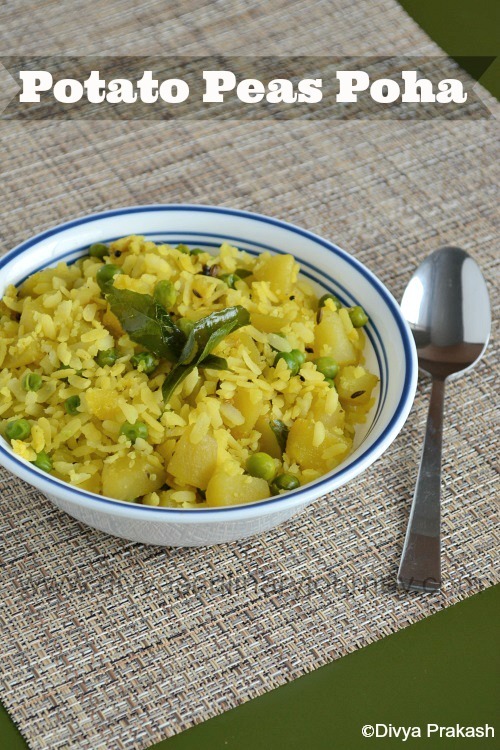 Wash the poha and let them soak for a minute or two and remove all the excess water and set them aside. Chop the potatoes to bite size pieces. Heat oil in a skillet, add the mustard seeds and fennel seeds, once they splutter, add green chillies, grated ginger, curry leaves, fry for a minute or two. To this add chopped potatoes, peas, turmeric powder and salt, add water as required and cover and cook till they are done. Then mix the poha with this and cook for 2 minutes and serve them hot. like your pics.. healthy breakfast.. Delicious pohe, my favorite, adding peas sounds nice idea. Poha looks awesome dear. Mouthwatering dish. Such a super filling and inviting peas pohe, love to finish that whole bowl. Love the color of the poha, favorite breakfast at home. Makes a perfect breakfast, looks delicious Divya! Filling and yummy breakfast,love the idea. 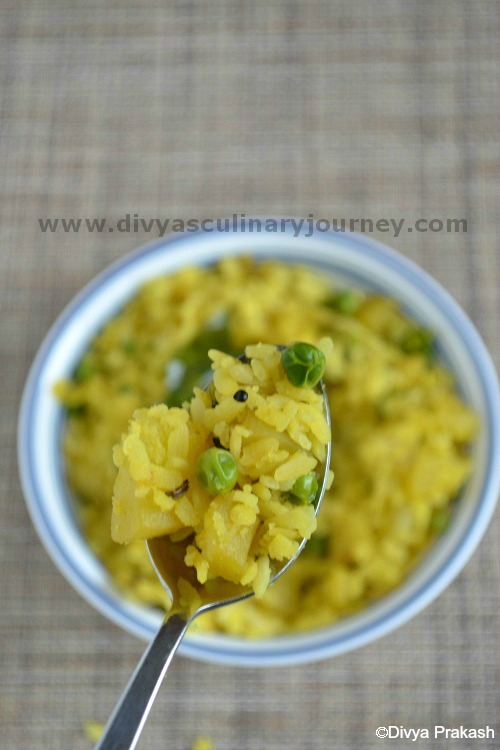 Beautiful poha Divya....perfect for a rainy Saturday morning the kind we are having, lol! The clicks are terrific. This recipe looks delicious. I love the flavors. What type of green chiles did you use?